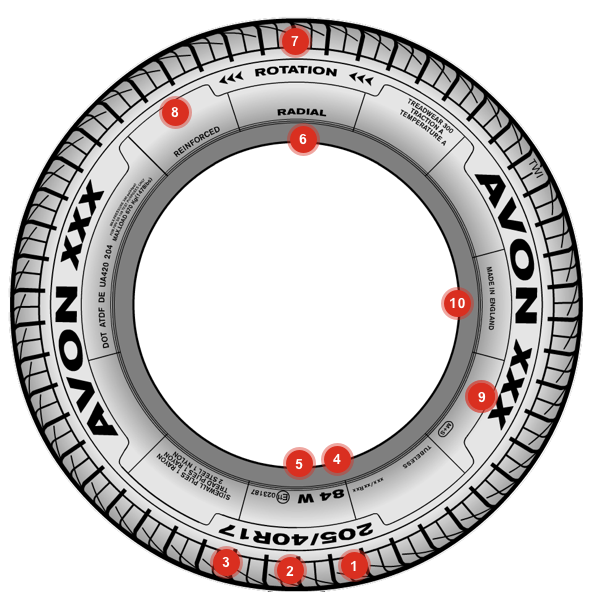 The writing and symbols on the sidewall of your tyre aren’t there simply to make it look good, they all tell you something about the specification of the tyre. That includes the speed at which the tyre can safely be used, the loads it can carry, its width, which way round to mount it on the wheel, where it’s made and what safety standards it’s passed. At first glance you might think all that information is hidden away in secret code, but if you follow our easy-to-use guide, you’ll see that there’s really no great mystery.